Log into your account or sign up for a new one. Click on Add Repo in the upper right corner. Locate the repo and click on add. A setup popup will appear. Once you are finished selecting your options, click on add. Unsure what all of this is? Check out usage examples section. Want to configure more? Take a look at the configuration. This section is still a work in progress. Have additional questions? Contact support@pyup.io. 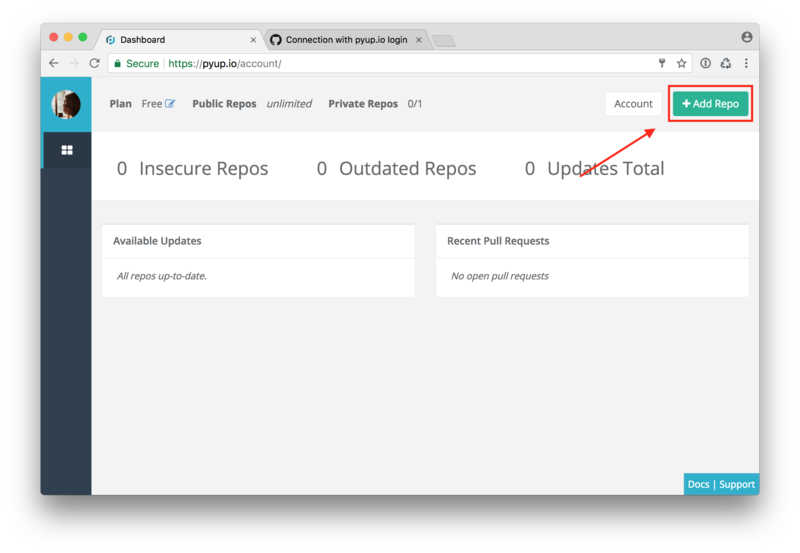 In order to communicate with the GitHub API, you need to create an OAuth token for your account. Click on settings -> Personal access tokens. 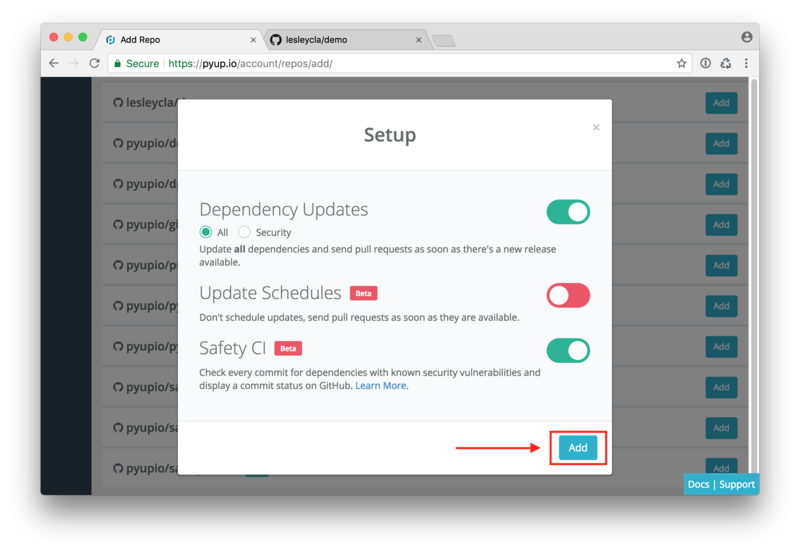 On a new repo, you'll want to run an initial update first. This will bundle all updates into a single pull request. This is, however, not required. If you want all updates in their own Pull Requests, jump to the next section. Once your initial update is merged you can start running the bot so that it opens a Pull Request for each update. 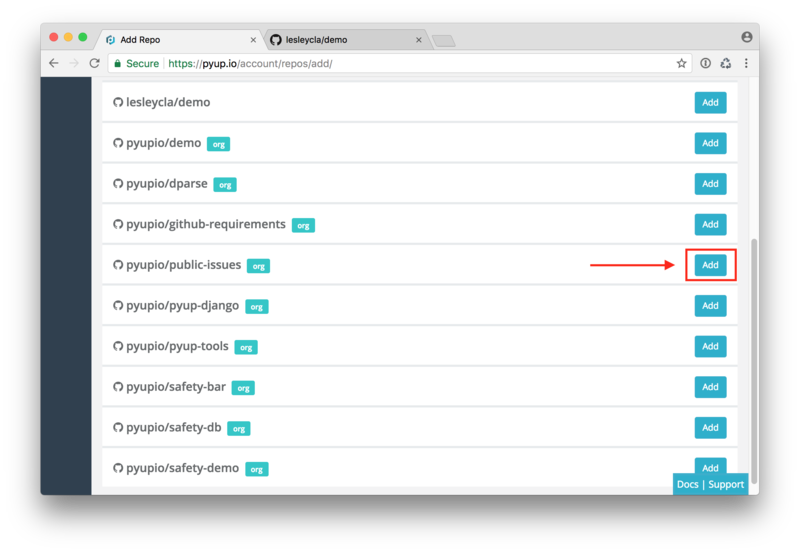 Running the bot with an API key allows it to query pyup.io's API for changelogs and insecure packages. This is highly recommended for production use.